If a picture's worth a thousand words, then two graphs should be enough to detail a company's warranty history at a glance. Readily available data can be used to compute three key ratios that can illustrate trends and highlight anomalies. Way back in the days before American manufacturers were required to detail all the guarantees they'd made on or off the books, manufacturers used to tightly guard their warranty data. In some realms such as auto safety, they're still insisting that the government keep their warranty data secret. Yet anyone with a Web browser can go to the Web sites of any public company and download their financial statements, which since 2003 have included warranty tables somewhere in the footnotes. By themselves, the figures say little, but if they're put into the proper context, they can say volumes. In the charts below, we will show how four key financial figures and four ratios can be assembled into a dashboard-like view of a company's warranty activity. Like the ratio between earnings and stock price, or net income divided by the number of shares outstanding, there are a couple of key ratios in the warranty industry that can be easily computed from seemingly unrelated data points. One key metric would be the warranty cost per unit, but this can not be readily extrapolated by external observers. Except for the car companies, most manufacturers don't release unit sales data, and even with the car companies, a calculation of average warranty cost per vehicle will be loaded with assumptions (for instance, the percentage of warranties that expire on mileage versus time). For external observers, it's best to stick with dollars rather than units. A dollar's a dollar, whether the unit sold is an airplane or an air conditioner. This allows comparisons to be made not only between close competitors, but also across industries. Also, the percentage of sales spent on warranty can be readily derived by anyone who knows 1) the dollar amount reported for product warranty claims and 2) the dollar amount reported for product sales. Any since 2003, anyone with a Web browser can find out these figures, if they know where to look. To illustrate this point, we picked a rather quiet company called Terex Corp., which manufactures off-road vehicles and machinery used in construction and mining activities. We picked them because they're not so well-known outside their field, despite being the 43rd largest warranty provider based in the U.S. And we picked them because they're stable and consistent when it comes to a couple of key warranty ratios, as you'll see in the charts that follow. During the first quarter of 2006, Terex reported $1.7492 billion in revenue, up from $1.4511 billion the year before. Warranty claims totaled $23.3 million, up from $21.3 million a year before. Warranty accruals were $24.6 million, down slightly from $25.1 million a year before. The warranty reserve stood at $94.9 million at March 31, up from $76.0 million a year before. Those are the raw numbers. Now we have to turn them into ratios. For the warranty claims rate, the calculations are 21.3 ÷ 1451.1 = .014678 or 1.5% for 2005 and 23.3 ÷ 1749.2 = .013320 or 1.3% for 2006. The warranty accrual rates are 1.7% and 1.4% for the same two periods. If the company paid $21.3 million in claims during the first quarter, the average monthly claims total would be $7.1 million. If the warranty reserve stood at $76 million at the end of March 2005, then its capacity at that time was equal to 10.7 months. Likewise, if the company paid $23.3 million in claims during the first quarter, the average monthly claims total would be $7.77 million. If the warranty reserve stood at $94.9 million at the end of March 2006, then its capacity at that time was equal to 12.2 months. Now we have two sets of figures: one set taken directly from the Terex Form 10-Q filed in May with the SEC, and one set derived from those numbers. We're ready to put these figures into a "warranty dashboard" that can highlight trends at a glance. 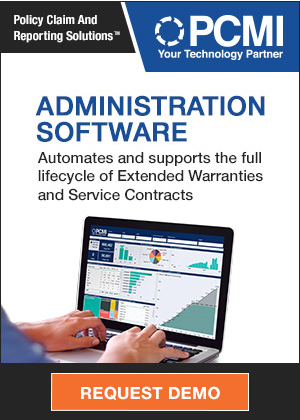 Terex and other U.S.-based warranty providers have been filing this warranty data with the SEC since at least the beginning of 2003, so most companies have now filed at least 15 quarterly or annual reports in that time. In the next month or so, many manufacturers will file their year-end 2006 reports. Warranty Week has collected that data for the past four years and made the calculations described above. What we've found is that while individual companies can see their ratios vary considerably from one quarter to the next, the averages computed for groups of companies change much less quickly over time. Let's take a look at the Terex data for warranty reserves. In Figure 1 below, the ending balance of the warranty reserve for each of the past 15 quarters is drawn in purple columns, while the warranty reserve capacity is drawn in a dark blue line. The ending balance data comes right out of the warranty tables included in the footnotes of financial statements. The capacity data is calculated using the equation detailed above. As the graph shows, Terex has seen its warranty reserve balance grow over time, and has also seen its capacity to pay claims grow proportionately over at least the past three years. But there was a gyration in the third quarter of 2003, during which the capacity to pay claims shot up from 7.7 months to 19.5 months. How did this happen? It couldn't have been caused entirely by a change in the warranty reserve balance, which grew less than 10%, from $56 to $61 million. It also wasn't cause by a change in the product line, which has always contained a mixture of products backed by 18- and 24-month warranties. So it had to be caused by a change in the other part of the equation: claims paid per month. Clearly, this warranty dashboard needs some additional data. What's needed is a graphic that shows the changes in claims paid, along with some representation of that those amounts are as a percentage of sales. It might also be useful to see changes in sales data, although that would not enter into the equation discussed above. In Figure 2, we're charting claims paid per quarter, along with 15 measurements of the claims rate and 15 measurements of the accrual rate. The data points for the first quarters of 2005 and 2006 are in the table above, and should be consistent in the chart below. Each of the other data points was computed using the same equation: claims (or accruals) divided by sales. Notice the notch in the claims data for the third quarter of 2003. The company's long-term average is $20 million per quarter in claims, but suddenly that quarter, claims fell to only $9.4 million. That means the amount of claims paid per month fell by more than half, and therefore the ratio between the warranty reserve balance and the amount of claims paid per month more than doubled. The claims rate didn't change by much, however, because in that particular instance it was computed using revenue and claims figures for nine months. Most companies seem to prefer to report their warranty expenditures in units of three, six, nine, and 12 months during their respective first, second, and third quarterly reports and their annual report. Theoretically, it should be possible to derive single-quarter data from these reports, but in some cases it's not. For instance, in 2005 Nortel Networks reported $183 million in claims paid during the first nine months of the year, and $176 million for the full year. This would mean that the company paid out a negative $7 million during the fourth quarter, and that its claims rate was -0.3%. That's not right. So what we prefer to do is take the $183 million and compare it to nine months of product revenue, and then compare the $176 million to a full year's revenue. For the fourth quarter claims total, we'd estimate 1/4 of the annual total, so as to avoid having to work with negative percentages. In other words, we'll take whatever usable figures are provided by the company, and we'll estimate the rest. If the company provides single quarter-by-quarter figures, we'll use those. But if they follow a format of providing three, six, nine, and 12-month figures, we'll use those. Anything else and we're making assumptions about the validity of internal accounting methodologies. As can be seen in Figure 2, Terex has seen its claims rate slowly decrease over most of the past four years, from a high of 1.9% in early 2003 to a low of 1.4% in early 2006. Meanwhile, its accrual rate has exceeded its claims rate for most of the past two years. As can be seen in Figure 1, the warranty reserve balance has slowly increased over time, due in large part to the fact that intake has exceeded outflows, as suggested by the gap between the red and green lines. And this has led to a gradual thickening of the warranty cushion, as detailed by the dark blue line, from around 10 months in 2004 to above 15 months in 2006. On their own, Figure 1 or Figure 2 provide only part of the picture. But together, one helps explain the other. What would really help tell the story would be some unit sales data for each of the company's brand names and product lines, correlated with some segmentation of the whole company's warranty cost data. Then we'd know whether the claims rate varies much between product lines, and which product's warranties cost the most. Terex manufactures a wide assortment of cranes, excavators, loaders, and paving equipment. Many of its products have engines and wheels, so we categorize them as an automotive OEM. Although most of the company's products are decidedly off-road vehicles, they're still vehicles, and the automotive OEM category includes everything from golf carts and motorcycles to dump trucks and fire engines. Of course, Terex is a very small part of the automotive OEM segment. So are most of the other manufacturers of vehicles used in off-road applications such as farming, mining, and construction. This is because the automotive OEM category is utterly dominated by Ford and General Motors, which together account for just under 80% of the segment's total claims in 2005. Meanwhile, Terex held an 0.73% share. Therefore, when it comes to dollars and overall totals, whatever happens to GM and Ford swings the whole segment in one direction or the other. However, when computing the individual claims rates or reserve capacity of a company, it doesn't matter so much whether the raw figures are denominated in billions, millions, or thousands. It's X% of revenue or Y months of claims-paying capacity whether it's the world's largest manufacturer or one of the smallest. In Figure 3 below, we've repeated the claims rate figures for Terex, along with figures for the automotive OEM category as a whole. We've also added figures for two sub-categories into which Terex also fits. In the mining equipment category, it's joined by the likes of NACCO Industries, Manitowoc, FMC Technologies, Joy Global, and JLG Industries. In the construction equipment sub-category, it's joined by Caterpillar, John Deere, Navistar, Textron, and Ingersoll-Rand, among others. Most of the companies in these sub-categories also fit into the automotive category, but not all. For instance, FMC Technologies makes drills used in petroleum mining. It doesn't make vehicles at all. Danaher makes hand tools used in construction and electric motors used in a wide variety of products, but again no vehicles. So don't think of mining and construction as necessarily subsets of automotive. The point is that one can take virtually any product or activity and group all the manufacturers engaged in that market, and calculate averages for warranty expense. From Figure 3 it's clear that on average, mining equipment manufacturers spend less on warranty than construction equipment manufacturers, who in turn spend less than all automotive OEMs as a group. Terex falls somewhere in the middle -- a little higher than the mining companies but a little lower than the construction companies. 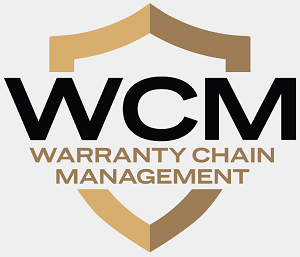 Roughly 800 U.S.-based companies are currently or have in the past reported warranty activity. While we can group them together into a seemingly endless list of narrow markets and product lines, the truth is that very few companies are what could be considered to be a "pure play" in any given industry. General Motors also makes locomotives. United Technologies also makes elevators. NACCO Industries also makes toasters. In Figure 3, we're counting some companies such as Terex in three different groups, and we're readily conceding that there's some overlap and double-counting. But what we're doing is trying to figure out a baseline for warranty claims rates in mining and construction equipment, and then seeing where Terex fits within those segments. If we were trying to figure out warranty spending, we would have to put each manufacturer into one and only one industry segment. For companies who could fit into multiple segments, we would have to choose one, because as external observers we cannot reliably split consolidated figures by product line or division. Instead, we'll merely guess which product line accounts for the most warranty expense. Therefore, United Technologies goes into the aerospace category instead of air conditioning or elevators. NACCO goes into automotive instead of kitchen appliances. Johnson Controls stays in automotive parts/suppliers despite its acquisition of a major HVAC company. And so on. The point is, we have grouped each and every one of the 800 manufacturers reporting warranty over the past four years into one and only one of 14 major industry segments. Having done that, it's a straightforward process to calculate subtotals for each segment's collective warranty claims figures. And since there's no overlap, the total should equal the sum of the parts. In Figure 4, we've assembled actual figures for 2003-2005 and have created an estimate for the whole of 2006 based on extrapolations from what was reported during the first nine months. The automotive OEMs are clearly responsible for a major share of all warranty claims. No wonder GM decided to tout its longer warranties during the Super Bowl. Warranty is a major component of an automotive company's business, and automotive warranties are a major portion of the overall warranty industry. But notice that we're expecting very little expansion in 2006 for the automotive segment. In fact, while we're expecting computer manufacturers to see their claims rise by roughly $590 million, we're expecting automotive OEMs to see a collective rise of only $420 million. In percentage terms, it's even more surprising. We're expecting a 4% increase for automotive OEMs and an 11% increase for computer makers. We're expecting a 16% increase for telecom equipment companies, a 7% increase for auto parts suppliers, and a 6% increase for aerospace and marine companies. Appliances should stay about the same, while both data storage and medical/scientific equipment warranty claims should register a decrease. Overall, we're expecting around a 6% annual increase in warranty claims to roughly $29 billion for the year, because 1) we're assuming that the place-saving estimates we're carrying for late filers such as Dell, Navistar, and Delphi will turn out to be low, and 2) we're assuming that as usual the fourth quarter will account for slightly more than its proportional 25% of the year's total. So while we've counted or estimated only $20.7 billion so far for the first three quarters of 2006, we're expecting to revise that upwards as new information comes in. And then we're expecting more than $7 billion in claims for the fourth quarter. Figure 4 segments the warranty industry by dollars. Figure 5 provides the same data in percentages. Note the total for automotive OEMs is expected to come in at 39% for the full year. In both 2004 and 2005 that share was above 40%. Notice also that the computer makers' share is closing in on 21%. It's never been higher. The same goes for the telecom equipment makers. The color scheme used here is courtesy of Alison Griffiths of the Warranty Chain Management conference. She has asked your editor to build a presentation around this data and these trends during the middle day of the conference next month, and she helpfully sent out a template stylized in the eye-pleasing earth tone motif seen above. The conference is scheduled for March 13 to 15, and unfortunately that's the same week that GM and Ford are expected to file their annual reports with the SEC. That means it won't be until a week or two after the WCM conference that we'll know for sure whether the claims total in 2006 was above or below $29 billion, and whether the overall increase was above or below 6%. For that matter, it seems like the warranty woes of Dell and Navistar are only deepening in recent weeks, so it may be some time before we know where the #4 and #14 warranty providers of 2005 finished last year. Already, Dell is six months behind while Navistar is going on 15 months late. Delphi seems to have settled all the civil and criminal charges related to its slippery warranty accounting practices, but still we've seen no financial statements since June. When the data becomes available, however, we'll assemble it into a dashboard view for all to see, so that hopefully all the upwards or downwards trends will be obvious at a glance. Dell adds anti-theft security to its CompleteCare Accidental Damage Service. Absolute Software's Computrace LoJack for Laptops to be bundled with Dell's extended warranties. Shorter warranties could help sell more beds and more extended warranties for mattresses. GM's Super Bowl robot ad causes increased anxiety in viewers hooked to an MRI machine. DaimlerChrysler tells National Biodiesel Board about engine warranty issues with alternative fuels. KVH Industries to sell extended warranties for its TracVision satellite TV systems in RVs and autos. Ryzex Group appointed by LXE as its first authorised repair centre in the UK. New fire truck was away for warranty work when the big fire struck Lewiston, Maine. Class-action lawsuit accuses Dell executives of concealing quality declines so they could sell their stock. Oxlo Systems to provide integration services for the Ford warranty processing system to the automaker's export dealers. General Motors extends 5-year/100,000-mile powertrain warranty to GM Certified Used Vehicles. McCusker & Company LLC moves its corporate headquarters to Leawood, Kansas. ServicePowers Field Service Solutions Division to provide Metabo Corp. with a warranty claims processing system. UK notebook maker Rock lengthens warranties to three years, backs them with insurance. StoneEagle Group and RouteOne LLC agree to integrate their dealer management software products. Michael Dell back as CEO of his company; Kevin Rollins resigns. Worker at Microsoft's call center hears numerous reports of Zune screen cracking for no apparent reason. H.I.G. Capital completes its acquisition of Warrantech for 75 cents per share. Honda recalls 11,000 model year 2006 ATVs to fix ball joints after getting 7 warranty claims. Congressman asks U.S. Coast Guard if problem-plagued National Security Cutter comes with a warranty. Version 15 of Minitab Statistical Software can forecast future warranty claims, company says. Cell phone insurance companies Asurion, Lock\line, and Signal Holdings settle class action lawsuit in Florida. GM's Lansing auto plant to be featured in a Super Bowl ad touting longer powertrain warranties. Deutsch/LA gets the Saturn account after helping GM tout its longer powertrain warranties. 1979 UK law makes retailers liable for product failures; retail association posts durability guidelines. Parsons fixing problems that led to warranty claims at Baghdad Police College. Photon Dynamics to delay its quarterly earnings release because it incorrectly calculated customs duties for exported warranty parts. Hubble telescopes Advanced Camera for Surveys malfunctions two months before its warranty expires. Doha Marketing Services Co. in Qatar to provide lifetime transferable warranties for all Honda vehicles it sells. Verizon rejected iPhone deal because Apple wanted control of distribution & repairs. Windows Vista-specific support is now available in North America through HP Total Care, Hewlett-Packard's PC service and support program. Enterprise asset management software from Datastream Systems helps bus company save $1 million in warranty claims. Timken Co. reduces its earnings estimate because of lower sales and higher warranty reserves. Consumers say sensors inside their cell phones are incorrectly registering water damage, voiding their warranties. Caterpillar sued over alleged defect in model 3196 yacht engine's aftercooler; 95% failure rate seen. Creators of "Wiinja" modchip say it bypasses Nintendo Wii copy protection, but installation voids warranty. Dell Europe launches Presto pay-as-you-go repair service for customers in the UK, France and Germany. Microsoft's Entertainment and Devices division posts a quarterly loss, blamed in part on cost of longer Xbox 360 warranties. At Mississippi boat show, Mercury offers buyers longer warranties on boat engines. Homeowner misled by decal mailed out by rival water heater service company with instructions to paste it over original decal. ARI acquires OC-Net Inc., a developer of Web sites for motorcycle, ATV, snowmobile & power sports dealers. Ford Motor Company reports $12.7 billion loss and a 9.5% sales decline for 2006; cites increased warranty costs at Jaguar and Land Rover. Albion Fire Department sends faulty fire truck back to American LaFrance for more warranty work. Old Republic International Corp. pins 2006 growth on trucking, home warranty, and financial indemnity insurance sales. Cummins engines for Dodge trucks meet 2010 EPA standards while Ford sues Navistar over warranty costs. DaimlerChrysler South Africa lengthens auto warranties to three years/100,000 km. Mazda, Honda, Toyota, Mitsubishi, and Kia top Warranty Direct reliability survey, with Renault, Alfa Romeo, Saab, Land Rover, and Jeep at the bottom. United States Warranty Corp. selects StoneEagle's SEcureCard for handling claim payments. Counterfeit auto parts cost Ford Motor Co. $1 billion annually, U.S. Chamber of Commerce study claims. Lexmark chooses Cyberstar Infocom as its national distributor in India. Kia chief says safety has become more important sales factor than long warranties over the past year. Alldata Online provides vehicle owners with inexpensive access to technical service bulletins. Service Management Group hires students to work on new warranty claims submission software. Consumer Reports says car seats failed at 70 mph, not reported 38.5 mph; retracts article. BenQ commissions B2X Care Solutions GmbH to continue services for Siemens and BenQ Siemens mobile phones. Albion Fire District wants voters to authorize legal action against American LaFrance for defective fire truck. National Auto Warranty Services headquarters heavily damaged in overnight fire; nobody injured. Longer warranties and higher quality may help, but better marketing is needed in Detroit. Winmark Homes offers two-year home warranty, five-year leak warranty, and 10-year structural warranty.